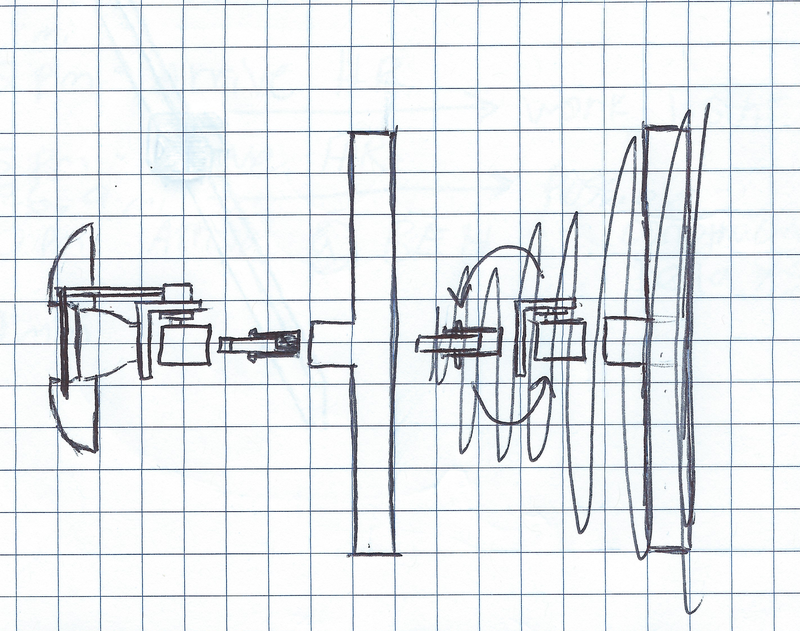 This page documents the process I went through to create my first Animatronic Wheatley. Over the course of two months, I spent my free time assembling the first of the greatest projects I’ve ever attempted. Thankfully, everything worked out and I had a working Wheatley! I know he might look a little rough around the edges but he was the first one I built. Be sure to check out Wheatley v2.0! 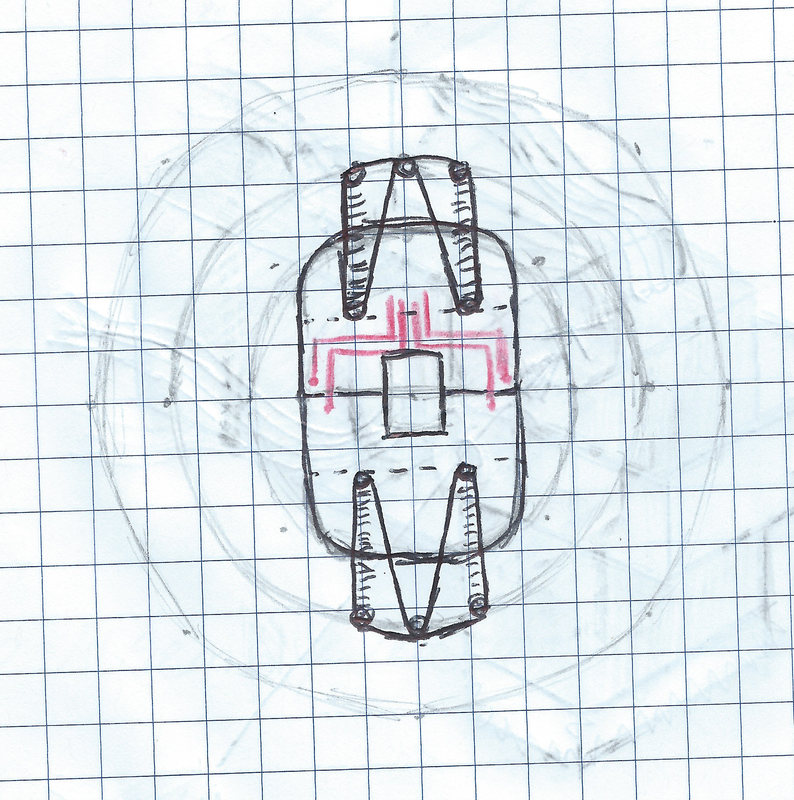 This is NOT a step-by-step, exactly detailed, how-to-make-your-own Wheatley document. To tell you the truth, I didn’t quite keep track of the whole build myself. 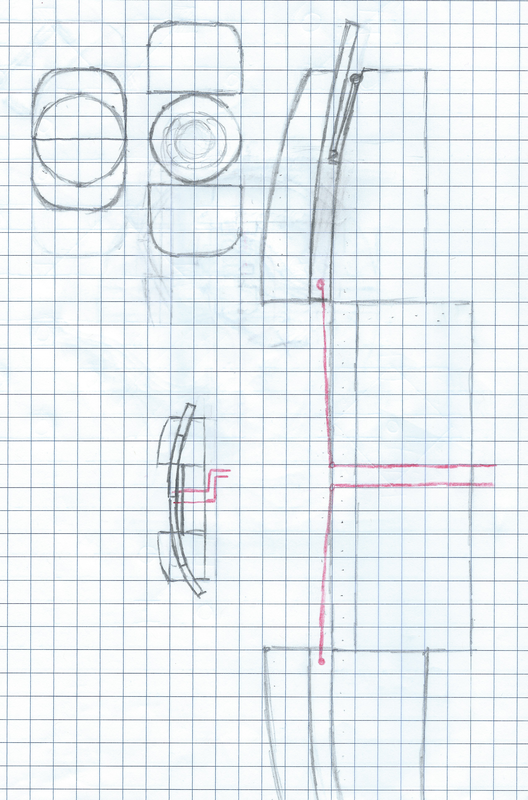 I’ve have a few drawings here, some notes there, and a couple videos, but no definite instructions for each step. My outlook on it is this: The fun is in doing it on your own! Sure I Googled for reference photos and videos, but no one told me how to put Wheatley together piece by piece. It was a discovery process that yielded more problems to solve and thus, more fun than I ever imagined. For those of you who don’t know who Wheatley is, Click Here! 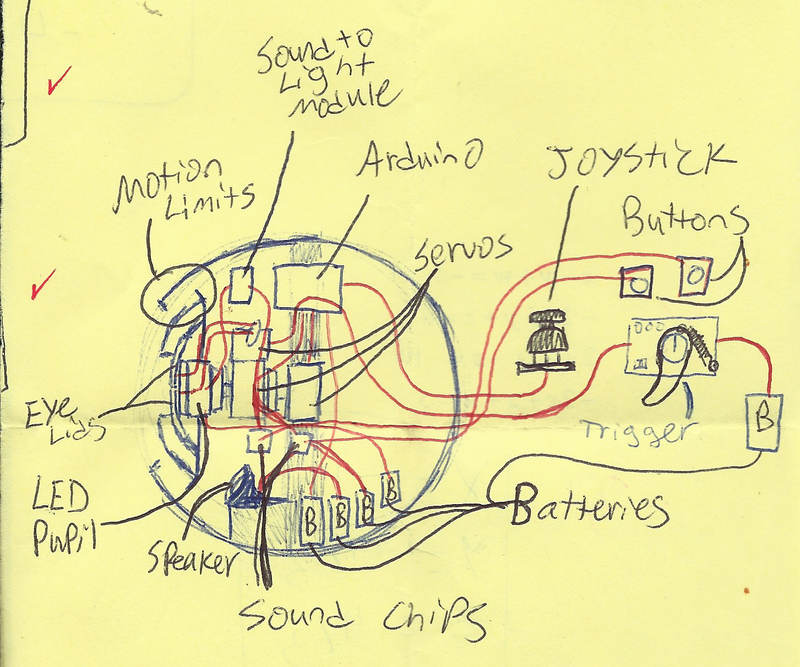 Without these other projects, I would not have thought my Wheatley possible. If you’d like to view each of these other projects, as well as others that I have found, Click Here. Building Wheatley took a bit of time and money: Two months and about $350. I was in my Senior year of High School and from February to April of 2014 (the duration of the project), I was attending school and then working at my job right afterwards. Factor these two things out and Wheatley probably could’ve been completed in three to four weeks. As for the money, I estimate maybe $100-$150 on wasted materials (things that I didn’t end up using). One of the hardest, most frustrating, yet most enjoyable parts of doing a project like this is the fact that you’re messing around, tweaking things here and there, trying to find what works. Sure it would’ve been cheaper and more efficient to have a perfect list of everything I would’ve needed, but the fun is in the problem solving! Do I regret wasting some money on this project? A little. But the outcome made it so much better. …just to name a few. 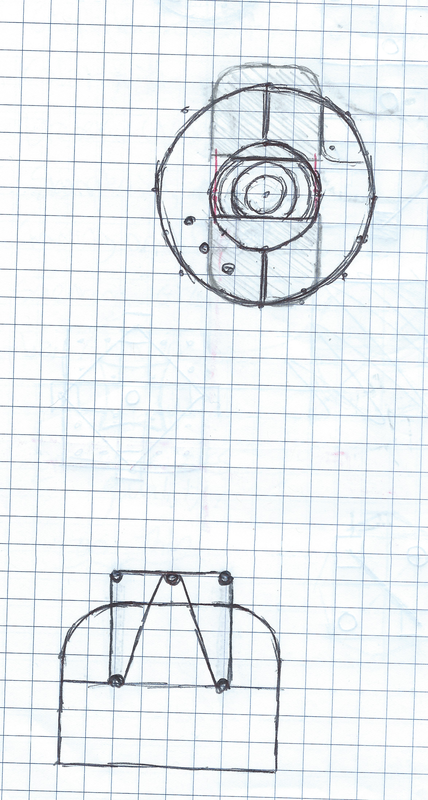 Again, I don’t remember every piece that went into Wheatley because I didn’t document the build process. At the time, I was mainly concerned with getting him finished. Here’s a video of the first thing I assembled: The Velleman Sound-to-Light Kit. Later on, I decided to replace the LEDs with a small Angel Eye I found on eBay. Sorry about the video cutting out at the end; my phone died. You can also see the handles in this picture. They were made out of cardboard, wooden dowel, coat hanger wire, hot glue, wooden buttons, and a bit of Hula Hoop. I used some metal brackets I found at Wal-Mart to hold them in. 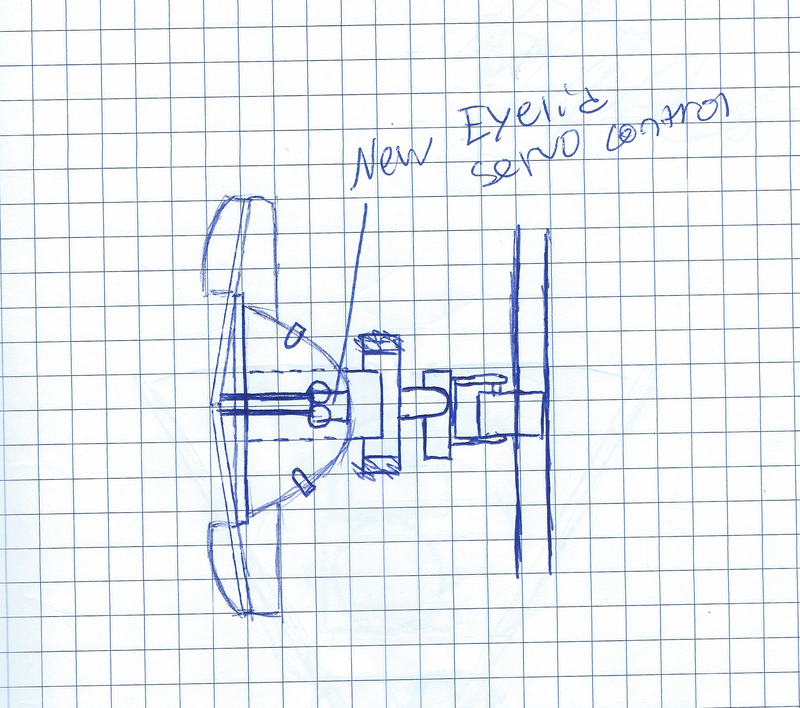 Moving on to the eye itself, it ended up being one of the most time-consuming parts of this project. I had to use a candle to heat a pocket knife, and use that to carve out the plastic reflector from a flashlight. That whole process took about two hours. Once that was out, it was only a matter of drilling a couple of holes for the lighting wires, gluing the lights in, and adding the graphics over the top. I used varying materials for the graphics, such as printer paper, clear plastic, and stickers. Once the eye and the faceplate were assembled together and the eye turned on, it was as if life was breathed into Wheatley. I think I cried a little! I also added another sound module with a rerecord ability, so I can program other various phrases for Wheatley to say. Another fun fact: Wheatley runs comfortably on 109.5 Volts split up between AAAs, AAs, and 9v batteries. While we were at Comic-Con his batteries were housed inside his body. After it was over I moved them outside his body to be near the controller, making sure that I don’t have to open Wheatley up ever again. Why not just hook him up to a car battery or something? Why all the batteries? The answer is simple: Portability and Ease-of-Access. When I started this project, I didn’t know that Wheatley would be coming to the Comic-Con with me. As soon as I decided that, I knew that he needed to be portable. AAAs, AAs, and 9V batteries were the simplest portable power source I could find. Once everything was built and in working condition, the next step was to make Wheatley look like Wheatley. I started by covering his shell in paper mache. Props to Scott Stoll for coming up with the wonderful recipe found at his awesome Halloween website, www.stolloween.com. While mixing the paste, I added a splash of bleach to extend the life of the project. For the paper, I used Viva paper towels because they absorb the mixture very well, add durability and texture, and sand easily when they are dry. 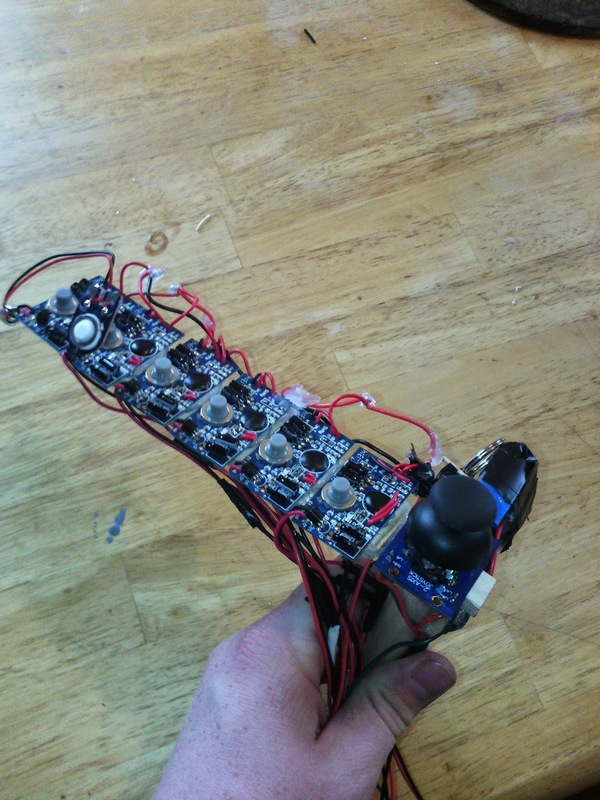 After I completed the wiring for the controller, Hydee came back and did a final touch-up, adding the cracks, chips, scrapes, and dents, as well as some printed graphics. We finished the paint job off with a matte clear-coat. If you’d like to see more of her work, you can check it out here: Curious Dee. And now: the moment you’ve all been waiting for…. Note: Because it is re-programmable, I change the sixth soundclip frequently. It is not posted here because it wouldn’t be current all of the time. This is some of the praise that we received on the first Animatronic Wheatley Project. I say “we” because my cousin Alisha would’ve hit me if I hadn’t mentioned her. She was the one who originally introduced me to the Portal franchise, and has a really big soft-spot for Wheatley. She supported me emotionally (and sometimes financially) throughout this whole project, helped keep my morale up, held things while I glued, she helped paint a bit, and read me fan-fiction while I worked. She also went with me to Comic-Con, filling my need for a Test Subject. Words cannot express how thankful I am for her, both on this project and everywhere else. “I took a look at your blog and was impressed by what I saw (looks much more polished than ours was). 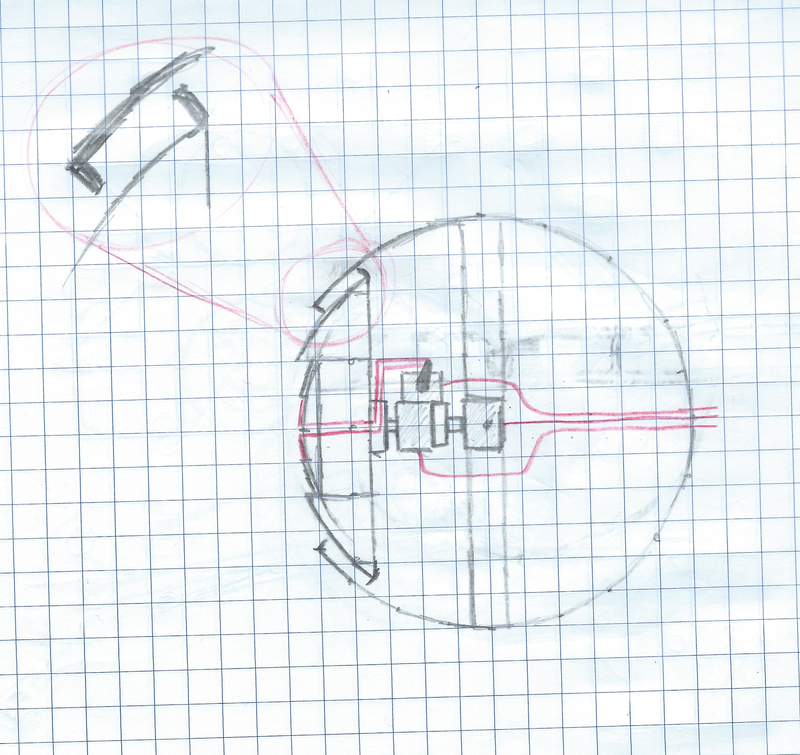 It’s making me want to actually get back and make our Wheatley V2 that we’ve been planning to work on for awhile. We’ve had the Arduino purchased and have just been too caught up with school. When my little bro saw this, he was baffled that you actually built him. Props dude. Completely awesome! Great to show high school level engineering classes! Good job! I had no idea one of these existed. 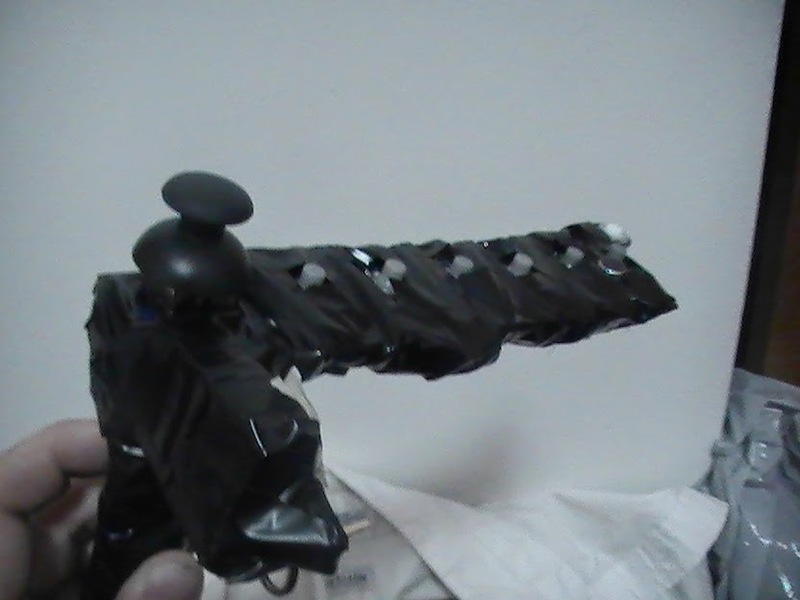 I have a Space Core puppet that I want to turn into an autonomous version. He’d just sit there and babble/move just like the Skyrim DLC version. At least that is the plan. May I ask what servos you used for the eyelids? They are very impressive and fast. Mine just don’t come close to that kind of speed. Very cool … keep up the great work man.